Home / Uncategorised / What Chemicals Are Used to Clean a Swimming Pool? In order to keep a swimming pool clean, certain chemicals should be added to it aside from chlorine. 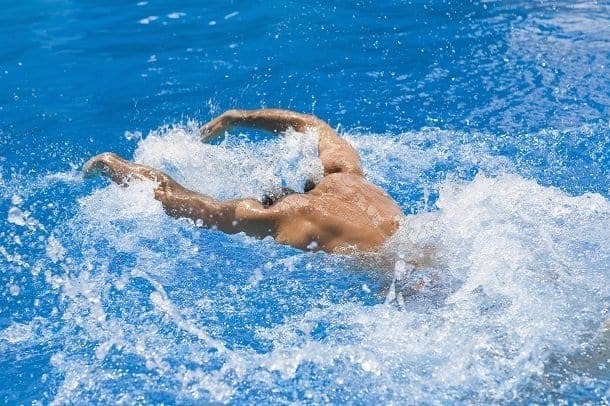 These pool chemical levels should be occasionally tested and properly maintained, or else this will result in skin and eye irritation on the swimmers’ part. To be more specific, you need to keep tabs with the pool calcium hardness levels, chlorine stabilizer (Cyanuric Acid) levels, pool alkalinity levels, and pool pH levels as well. This keeps the pool safe for swimmers to swim in for a lengthy period of time, especially when it comes to public pools. The chemicals will also end up wasted and the quality of the water will become poor when push comes to shove. Finally, it can damage your pool equipment and the pool surface itself. The alkalinity and pH (a measure of acidity in the water) levels of pool water can influence many areas of the swimming pool. Therefore, their levels must be maintained at the correct numbers or portions for the sake of keeping your pool clean for the maximum amount of time until drainage is necessary. Pool water alkalinity also acts as a pH buffer, thus it assists in preventing your pool pH level from fluctuating or being inconsistent. The pool alkalinity should be maintained from 80 to 220 PPM (parts per million). As for the pH, it should be maintained at 7.2 to 7.6 PPM. The levels of pH of pool water are sensitive yet controllable. As long as you keep the alkalinity levels in check or within range, then the pH levels should follow thusly. If you fail to keep the pH level of the pool in range, the water should end up irritating the skin and eyes of those who swim in the pool. Excess acidity can also lead to pool surface and equipment corrosion. This then created a domino effect that also ruins the swimming pool’s chlorine level as well. All basic test kits for pools should read the alkalinity and pH level of your pool water. These levels can then be easily adjusted using easily accessible water balancers as well. Cyanuric Acid is also known by the name stabilizer (Cyanuric Acid is its chemical name). Your swimming pool’s stabilizer level should be maintained at 30 to 50 PPM in order to keep the waters clean. Your stabilizer is important because as its name suggests, it stabilizes the chlorine in your pool, making it last longer while exposed to the sun. 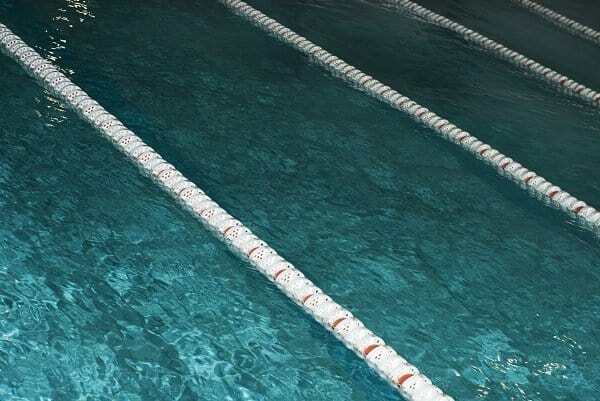 However, it’s typically tested at the start of the swimming season, when the pool is first opened. When placed in pool water, the stabilizer surrounds the chlorine within the pool on a molecular level. This protects the chlorine and prevents it from being quickly used up or burned off by sun exposure. You can add stabilizer if required to raise its level. However, once the Cyanuric Acid is already present in your pool water, it’s not easy to remove. Therefore, you need to practice due diligence and prudence when it comes to determining whether you need stabilizer in the pool or not. Stabilizer level reduction in your pool entails diluting the water by partially draining the pool then refilling it with fresh water. To be more specific, 25 percent of the pool’s water should be drained then replaced with fresh water if you want the stabilizer levels to go down properly. What’s more, the pool should be circulated for half a day to a whole day or 12 hours to 24 hours before testing the stabilizer level again. This process should be repeated (to the letter) until you get the desired range of stabilizer levels when you take the test. Whether your pool waters are inundated with or have too little Cyanuric Acid, the effects are practically the same. To be more specific, if you’ve having trouble maintaining your chlorine level even though all other chemical levels are optimized, then your stabilizer level should be tested then adjusted. You can avail of chlorine tablets that contain a pre-stabilized form of chlorine that contains a small amount of stabilizer. It’s hard to maintain an optimum chlorine level if your stabilizer level is lower than 30 PPM because the chlorine quickly evaporates in the sun. In turn, if you have more than 50 PPM for your stabilizer, your chlorine levels will also drop, becoming inactive due to too much Cyanuric Acid present. You should also take into consideration the calcium hardness of your swimming pool. This refers to the amount of calcium found in pool water. The levels of pool calcium hardness should be within the range of 80 PPM to 150 PPM in a pool with a vinyl liner. As for pools with a plaster or concrete finish, you can make allowances of 150 PPM to 200 PPM. If your pool water has low levels of calcium hardness, this can lead to your water conditions becoming outright corrosive. Corrosive water conditions can do a number on your pool plumbing, equipment, and surface. If your swimming pool has a masonry or plaster finish, the corrosive water will start absorbing the calcium from the pool floor and walls. This eats away the surface of the pool until the hardness levels near 150 PPM. Most pool supply companies include what’s known as a Calcium Hardness Increaser that you can use to raise the calcium hardness level of your pool. This keeps your pool water from being corrosive to the point of “stealing” calcium by cannibalizing itself and its surface. Meanwhile, if your calcium levels are too high, your pool water will end up cloudy. It also results in scaling, wherein chalky deposits end up around the water line of the swimming pool. Scaling can get dangerous because these particles can end up in pool plumbing and equipment, essentially damaging and destroying them. In cases where there’s too much calcium in your pool, you can reduce the calcium hardness levels by using a Calcium Hardness Reducer. This product is available in most pool supply stores and companies. It’s developed to lower your calcium hardness to the desired range of your type of pool. You may also drain your pool and fill it with fresh water to get the same effect.